The new season of Orlando Philharmonic Orchestra has set in and its schedule is as exciting as any in the previous years. Among the highlights of 2013-14 season’s programs are Rossini’s “The Barber of Seville”, tributes to Louis Armstrong and Elton John and performances by Jon Kimura Parker and Norm Lewis where the former is a renowned pianist and latter a Broadway star. OPO has brought the best of orchestral music year after year and this time it’s no different either. The season which started from September 28 has already held some performances while a whole lot of them are still to be showcased. From Beethoven’s symphonies and chamber music to “La Traviata”, audience will get to see so many wonderful shows and productions. The residents of Central Florida have Orlando Philharmonic Orchestra to cater to their entertainment needs – and what wonderful entertainment that is. The company is the biggest source for classical music, first class entertainment and educational programs in the city. With a variety of shows, concerts and other musical programs, OPO has something for all kinds of classical music lovers with Orlando Philharmonic Orchestra tickets a commodity available year round. Orlando Philharmonic opened its door to public when the Orlando Opera closed down in 2009. The Philharmonic was established to keep the community of Central Florida in touch with the tradition of opera. The first performances held here were Porgy and Bess and Carmen in 2010. Next year saw the performance of La Boheme and in 2012, Rigoletto was performed. Since then, the Philharmonic has been giving remarkable performances throughout the season, entertaining masses with its operas, orchestras, symphonies and pops concerts. Some of the most famous events at OPO include Super Series, Sounds of Summer Series and Focus Series. A number of full-orchestra pops concerts are also held in fall and spring. Apart from that, the orchestra performs some 30 Young People’s Concerts annually. There is also a pre-school children program held by the orchestra called Tiny Tots which has seen ten seasons until now. The Philharmonic also collaborates with other orchestras and companies for its performances. Since its formation, it has worked with the Florida Symphony Youth Orchestra, Mad Cow Theatre, the Orlando Opera, the University of Central Florida and others. Performances of the OPO are held at different venues. One notable venue is Bob Carr Performing Art Centre where Super Series concerts are held. With a seating capacity of over 2000 spectators, Bob Carr PAC serves as the home to Orlando Opera and Florida Symphony Youth Orchestra in addition to the OPO. The venue will be replaced by Dr. Phillips Center for Performing Arts in 2014. The chamber music concerts of the Focus Series are held at the Lowndes Shakespeare Center. In addition, many of the outdoor pops concerts are held with the collaboration of municipalities throughout Orlando. Every season, the Philharmonic manages to create excitement among the residents of Central Florida who eagerly wait for the set-list of entertaining programs. The 2013-14 season is no different. It will open with a performance by the Vancouver-based pianist Parker. The opening night will also feature Strauss’ Ein Heldenleben. The Classics Series will have the violinist Cho-Liang Lin give a performance along with Elmar Oliveira. The Pops Series will feature a program of Orlando Gay Chorus and Christmas Show among others. The Phil will also be presenting Rossini’s The Barber of Seville and Verdi’s La Traviata. And that is not all because there will also be the OPO’s usual Sounds of Summer Series and Focus Series. Under the leadership of Christopher Wilkins, this season looks all set to be a successful one – another jewel in the crest of Orlando Philharmonic Orchestra. 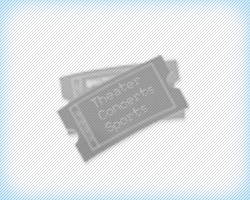 2013-14 season is Orlando Philharmonic Orchestra’s 21st season. The orchestra gives more than 125 performances every season. The OPO has an endowment of more than $3 million, the largest from any cultural center in Central Florida. 2013-14 season is Christopher Wilkin’s final season with the Philharmonic. Kenneth and Ann Hicks Murrah are notable supporters of the orchestra who gifted the timpani chair to the Phil among other endowments.